Henry Edward Armstrong, (born May 6, 1848, Lewisham, Kent [now a part of London], Eng.—died July 13, 1937, Lewisham), English organic chemist whose research in substitution reactions of naphthalene was a major service to the synthetic-dye industry. Armstrong studied at the Royal College of Chemistry, where he developed a method of determining organic impurities (sewage) in drinking water, which was used in the sanitary surveys of water supplies and helped to control typhoid fever. In 1867, he went to study under Hermann Kolbe at the University of Leipzig in Germany and secured his Ph.D. there in 1870. In 187l he became professor of chemistry at the London institution Finsbury Circus (later Finsbury Technical College) and in 1879 was appointed to help organize the teaching of chemistry and physics at the City and Guilds of London institute. From 1884 he taught at the Central Technical College, retiring in 1911. He had been elected a fellow of the Royal Society in 1876. 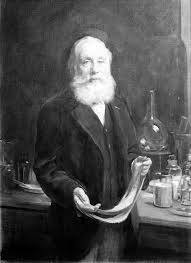 Armstrong’s classic researches in chemistry dealt in part with subsitution in the hydrocarbon naphthalene, a problem on which he published some 60 treatises, which, with the work of his collaborators, securely established the chemistry of a substance and its derivatives that were of the greatest technical importance in the dyestuffs industry. He also pioneered in organic crystallography, contributed much to the understanding of the chemical composition of camphor and related terpene compounds, and devised a centric formula for benzene. Ernst Ruska, in full Ernst August Friedrich Ruska, (born Dec. 25, 1906, Heidelberg, Ger.—died May 27, 1988, West Berlin), German electrical engineer who invented the electron microscope. He was awarded half of the Nobel Prize for Physics in 1986 (the other half was divided between Heinrich Rohrer and Gerd Binnig). Ruska studied at the Technical University of Munich during 1925–27 and then enrolled at the Technical University in Berlin. Around this time he began the studies that led to his invention of the electron microscope. The extent to which an optical microscope could resolve the detail of a highly magnified object was limited by the wavelengths of the light beams used to view the object. Since it had been established in the 1920s that electrons have the properties of waves about 100,000 times shorter than those of light, Ruska posited that if electrons could be focused on an object the same way light is, at extremely high magnifications the electrons would yield greater detail (i.e., have a greater resolving power) than would conventional light microscopes. In 1931 he built the first electron lens, an electromagnet that could focus a beam of electrons just as a lens focuses a beam of light. By using several such lenses in a series, he invented the first electron microscope in 1933. In this instrument, electrons were passed through a very thin slice of the object under study and were then deflected onto photographic film or onto a fluorescent screen, producing an image that could be greatly magnified. Ruska joined Siemens-Reiniger-Werke AG as a research engineer in 1937, and in 1939 the company brought out its first commercial electron microscope, which was based on his inventions. Ruska did research at Siemens until 1955 and then served as director of the Institute for Electron Microscopy of the Fritz Haber Institute from 1955 to 1972. He was also a longtime professor at the Technical University of West Berlin. Pierre-Eugène-Marcellin Berthelot, (born Oct. 27, 1827, Paris, France—died March 18, 1907, Paris), French organic and physical chemist, science historian, and government official. His creative thought and work significantly influenced the development of chemistry in the latter part of the 19th century. Berthelot achieved great renown in his lifetime. He entered the French Academy of Medicine in 1863, became president of the Chemical Society of Paris in 1866, and was elected to the French Academy of Sciences in 1873 and became its permanent secretary in 1889. He also entered the French Academy in 1901. When he died in 1907, he was honoured throughout the nation, with most French towns naming a street or a square after him. Berthelot was born into a middle-class Parisian family and attended secondary school at the Collège Henri IV, ending with the baccalauréat ès lettres in 1847 and the baccalauréat ès sciences in 1848. He became close friends with a fellow student living in the same pension, Ernest Renan, who later became famous as a historian and philologist. Their lifelong correspondence shows the strong influence of this friendship on Berthelot’s philosophical and historical inclinations. As a pupil at Collège Henri IV, Berthelot attended a variety of lectures at the Collège de France and was attracted to chemistry. He earned a degree in physical sciences from the Collège de France in 1849, and he returned in 1851 as an assistant to chemist Antoine-Jérôme Balard. Bertholot’s doctoral dissertation (1854) was entitled “The Combinations of Glycerin with Acids and the Synthesis of Immediate Principles of Animal Fats.” Following Michel-Eugène Chevreul’s study of the chemical composition of fats as consisting of organic acids combined with glycerin, Berthelot conjectured that they could be formed of one, two, or three parts of fatty acids. This conjecture led him to synthesize many new fats, while coining the terms monoglyceride, diglyceride, and triglyceride. This was the start of Berthelot’s scientific career and his long-standing controversy with French atomists. 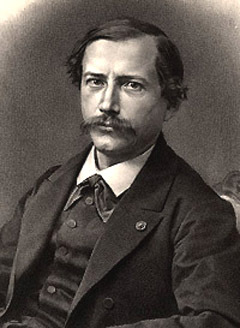 Charles-Adolphe Wurtz, in particular, interpreted Berthelot’s results in terms of type theory, which implied a distinction between atoms and molecules. In contrast, Berthelot defended an older dualistic theory that represented organic compounds as oxides and salts. Berthelot completed his education with pharmaceutical studies and obtained a second doctoral degree in pharmacy in 1858. When a professorship of organic chemistry was created at the École de Pharmacie in 1859, Berthelot was named to it. He also taught a course at the Collège de France, where Balard obtained the creation of a chair in organic chemistry for him in 1865. In 1855 Berthelot submitted a memoir to the French Academy of Sciences detailing the synthesis of ethyl alcohol from ethylene by treatment with sulfuric acid. This production of a natural substance in the laboratory convinced Berthelot that chemistry would destroy the metaphysical belief in a vital force, and it provided the basis for his ambitious program of “total synthesis.” This grandiose project aimed to methodically synthesize all organic compounds, starting from inorganic elements and proceeding step by step from hydrocarbons to alcohols to esters and organic acids and so forth ad infinitum. Some of his more notable achievements included the synthesis of formic acid in 1856, methane in 1858, and acetylene in 1862. His synthesis of benzene in 1851 by heating acetylene in a glass tube opened the way to the production of aromatic compounds. Whereas Berthelot was extremely influential in France, his opposition to atomic ideas led to his increasing isolation from the mainstream of the international community of organic chemists. In 1860 he declined German chemist August Kekule’s offer that Berthelot join the Karlsruhe Conference, which was organized to reach an agreement on formulas and atomic weights, because he wanted to return to equivalent weights. He endlessly fought against the theories of chemical atoms and molecular constitutions, which he considered to be “theories of language,” and championed instead his own system of equivalents, which he considered to be “theories of facts” firmly grounded on empirical evidence. Like his contemporaries Swedish chemist Svante Arrhenius and German chemist Wilhelm Ostwald, Berthelot diversified his field of interest and investigation in chemistry. Trying to understand the thermal phenomena accompanying the formation of organic compounds, he gradually turned to the emergent field of thermochemistry. With Léon Péan de Saint-Gilles, Berthelot noticed that, in the reaction of alcohol with acids to form esters, the rate of reaction depended on the quantities of reagents and products involved, though a state of equilibrium was reached that was independent of the quantities. In the 1860s, Berthelot devoted himself to the foundation of a new discipline relating heat and chemical reactions, which he named chemical mechanics. In an essay published in 1879, he formulated three basic principles for the new discipline: (1) the equivalence between internal work and heat changes in a chemical reaction; (2) the heat evolved depends only on the initial and final states; and (3) chemical changes tend toward the production of the bodies that produce the most heat. The latter, known as the law of maximum work, engaged Berthelot in a fierce controversy with French physicist Pierre Duhem. In the 1880s, Berthelot turned his attention to agricultural chemistry by founding an experimental research station. To confirm his early (and false) hypothesis that the direct fixation of nitrogen by some vegetables was facilitated by atmospheric electricity, he became involved in the study on the nitrification of soils by microorganisms. He then collaborated with Russian microbiologist Sergey Nikolayevich Winogradsky, who identified an anaerobic bacterium (Clostridium pasterianum) responsible for the fixation of nitrogen in soil. Berthelot was a prolific writer, with some 1,600 published papers and books. In addition to publishing a collection of Greek alchemical manuscripts (1887), he wrote an introduction to the study of ancient and medieval alchemy that came out the same year as his work on the French chemical pioneer Antoine-Laurent Lavoisier (1889). Finally, Berthelot, who was a committed freethinker and a Freemason, publicized his philosophical views on science, metaphysics, ethics, and education in a number of widely circulated essays that became classics of the republican movement in France. Since the 18th century, scientists, particularly chemists, had played a role on the French political stage (a role that intensified during the French Revolution), and, through the 19th century, chemists held leading positions in successive French governments. This tradition culminated with Berthelot, who became a politician under the Third Republic. During the Franco-German War (1870–71), he was head of the Scientific Commitee for the Defense of Paris. This experience led Berthelot to a detailed study on the strength of explosives, which culminated in a two-volume publication in 1883. From 1881 Berthelot was a permanent member of the Senate, where he belonged to the Republican Union party. He was a minister of public instruction and fine arts (1886–87) and a few years later the minister of foreign affairs at the Foreign Office (1895–96). In 1889 he succeeded Louis Pasteur as secretary of the Academy of Sciences. His wife, Sophie Niaudet-Berthelot, whom he had married in 1861, died within hours of his death. The two had a joint funeral and were interred together in the Panthéon. She was thus the first—and, for about a century, the only—woman to be buried there. Sir Godfrey Newbold Hounsfield, (born August 28, 1919, Newark, Nottinghamshire, England—died August 12, 2004, Kingston upon Thames), English electrical engineer who shared the 1979 Nobel Prize for Physiology or Medicine with Allan Cormack for his part in developing the diagnostic technique of computerized axial tomography (CAT), or computerized tomography (CT). In this technique, information obtained from X rays taken by scanners rotating around the patient are combined by a computer to yield a high-resolution image of a slice of the body. After studying electronics and radar as a member of the Royal Air Force during World War II and at Faraday House Electrical Engineering College in London, Hounsfield joined the research staff of EMI Ltd. in 1951. He led the design team that built the first all-transistor computer in Great Britain, the EMIDEC 1100, in 1958–59. Later, while investigating the problem of pattern recognition, he developed the basic idea of CAT. Hounsfield extended the capability of a computer so that it could interpret X-ray signals so as to form a two-dimensional image of a complex object such as the human head. He pursued the application of axial tomography to medical diagnosis, building a prototype head scanner and then a body scanner at EMI. Computers soon evolved to the stage needed for processing the signals from the scanners at the same rate they were obtained, and in 1972 the first clinical test of CAT scanning was performed successfully. For his work Hounsfield received numerous awards in addition to the Nobel Prize, and he was knighted in 1981. Luc Montagnier, (born August 18, 1932, Chabris, France), French research scientist who received, with Harald zur Hausen and Franƈoise Barré-Sinoussi, the 2008 Nobel Prize for Physiology or Medicine. Montagnier and Barré-Sinoussi shared half the prize for their work in identifying the human immunodeficiency virus (HIV), the cause of acquired immunodeficiency syndrome (AIDS). Montagnier was educated at the Universities of Poitiers and Paris, earning degrees in science (1953) and medicine (1960). He began his career as a research scientist in 1955 and joined the Pasteur Institute in Paris in 1972. In 1993 he established the World Foundation for AIDS Research and Prevention, and he later accepted an endowed chair at Queens College, New York City, where he headed (1998–2001) the Center for Molecular and Cellular Biology. He returned to the Pasteur Institute in 2001 as professor emeritus. Montagnier also served as president of the Administrative Council of the European Federation for AIDS Research. In the early 1980s Montagnier, working at the Pasteur Institute with a team that included Barré-Sinoussi, identified the retrovirus that eventually became known as HIV. In the ensuing years there was much controversy over who first isolated the virus, Montagnier or American scientist Robert Gallo, and in 1987 the U.S. and French governments agreed to share credit for the discovery. Subsequently, however, Montagnier’s team was generally acknowledged as having first identified the virus. Charles F. Kettering, in full Charles Franklin Kettering, (born August 29, 1876, Loudonville, Ohio, U.S.—died November 25, 1958, Dayton, Ohio), American engineer whose inventions, which included the electric starter, were instrumental in the evolution of the modern automobile. In 1904 Kettering began working for the National Cash Register Company in Dayton, where he developed the first electric cash register. He became chief of the inventions department before he resigned in 1909. With Edward A. Deeds, Kettering founded Delco (Dayton Engineering Laboratories Company) to design automotive electrical equipment. He developed improved lighting and ignition systems as well as the first electric starter, which was introduced on Cadillacs in 1912. In 1916 Delco became a subsidiary of United Motors Corporation, later General Motors Corporation (GM). 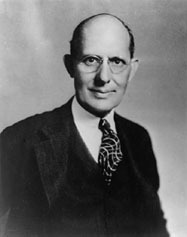 Kettering was vice president and director of research for GM from 1920 to 1947. In 1914 he also founded the Dayton-Wright Airplane Company, which during World War I developed a propeller- driven guided missile with a 200-pound (90-kilogram) bomb load. 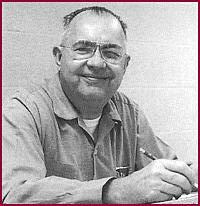 Kettering contributed much to the development of quick-drying lacquer finishes for automobiles and of antiknock fuels and leaded gasoline in collaboration with the American chemist Thomas Midgley, Jr. He developed the high-speed, two-cycle diesel engine, making it more efficient by improving its design. In 1951 he also developed a revolutionary high-compression automobile engine. Kettering’s interest in science was manifested in the establishment of the Sloan-Kettering Institute for Cancer Research at the Memorial Cancer Center, New York City, and the C.F. Kettering Foundation for the Study of Chlorophyll and Photosynthesis. Willard Frank Libby, (born Dec. 17, 1908, Grand Valley, Colo., U.S.—died Sept. 8, 1980, Los Angeles, Calif.), American chemist whose technique of carbon-14 (or radiocarbon) dating provided an extremely valuable tool for archaeologists, anthropologists, and earth scientists. For this development he was honoured with the Nobel Prize for Chemistry in 1960. Libby, the son of farmer Ora Edward Libby and his wife, Eva May (née Rivers), attended the University of California at Berkeley, where he received a bachelor’s degree (1931) and a doctorate (1933). After graduation, he joined the faculty at Berkeley, where he rose through the ranks from instructor (1933) to assistant professor (1938) to associate professor (1945). In 1940 he married Leonor Hickey, by whom he had twin daughters. In 1966 he was divorced and married Leona Woods Marshall, a staff member at the RAND Corporation of Santa Monica, Calif. In 1941 Libby received a Guggenheim fellowship to work at Princeton University in New Jersey, but his work was interrupted by the entry of the United States into World War II. He was sent on leave to the Columbia War Research Division of Columbia University in New York City, where he worked with Nobel chemistry laureate Harold C. Urey until 1945. Libby became professor of chemistry at the Institute for Nuclear Studies (now the Enrico Fermi Institute for Nuclear Studies) and the department of chemistry at the University of Chicago (1945–59). He was appointed by Pres. Dwight D. Eisenhower to the U.S. Atomic Energy Commission (1955–59). 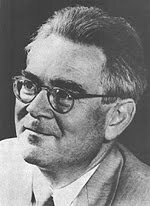 From 1959 Libby was a professor of chemistry at the University of California, Los Angeles, and director of its Institute of Geophysics and Planetary Physics (from 1962) until his death. He was the recipient of numerous honours, awards, and honourary degrees. While associated with the Manhattan Project (1941–45), Libby helped develop a method for separating uranium isotopes by gaseous diffusion, an essential step in the creation of the atomic bomb. In 1946 he showed that cosmic rays in the upper atmosphere produce traces of tritium, the heaviest isotope of hydrogen, which can be used as a tracer for atmospheric water. By measuring tritium concentrations, he developed a method for dating well water and wine, as well as for measuring circulation patterns of water and the mixing of ocean waters. Charles Perkins Strite (February 27, 1878 – October 18, 1956) was an American inventor known for inventing the pop-up toaster. Strite was born in Iowa. He received U.S. patent #1,394,450 on October 18, 1921 for the pop-up bread toaster. The automatic toaster is one such example. This appliance has been standard in American households for nearly a century, thanks to the clever invention that Charles P. Strite patented in 1921. Born in Minneapolis, Minnesota, Strite went to work in a manufacturing plant in Stillwater, Minn., during the war effort surrounding World War I. In 1919, after observing that much of the toast served in the cafeteria was burned, he began working on a machine that would toast bread automatically and stop heating after the toast was ready, requiring no human intervention. At the time, toasters were imperfect but they did exist. People have been toasting bread for thousands of years; for the most part they have done so by holding sliced bread over an open fire. The first electric toasters began to appear after electricity made its way into the average American household in the late 1800s. A British firm is said to have manufactured an electric toaster in the mid-1890s, but the machine was not terribly fire-safe. Then, at the turn of the century, a type of wire was invented that could reach very high temperatures without posing a fire hazard or becoming damaged. Shortly thereafter, an employee of the American Electric Heater Company applied for a patent on an electric bread toaster that used this wire as its heating element. Other versions soon followed from people and companies trying to improve on the concept, including General Electric, which developed the first commercially successful toaster, the D-12, in 1909. Even this toaster had its drawbacks, however. It toasted bread one side at a time and had to be watched constantly to be sure it did not overheat the bread. Strite’s version employed heating elements that could toast both sides of a slice of bread at the same time. It also included a timer that turned off the electricity and a spring that ejected, or “popped up,” the toast when the electricity shut off. He received U.S. patent No. 1,394,450 for his device, which became known as “the Toastmaster.” With financial backing he formed the Waters Genter company and began selling the devices to restaurants; a consumer version was made available to the public in 1926. This version allowed for the user to adjust darkness by moving a lever on the side of the toaster. Strite’s company, which became Toastmaster, Inc., produced at least six different consumer models, with sleek, nickel-plated designs that appealed to thousands of customers; the company flourished and diversified; it was acquired in 1999 by Salton, Inc.
Toasters became more and more popular over the next several decades, with more than 1 million sold annually by 1930. Bakeries, at the same time, began to sell more pre-sliced bread, and toasters became affordable enough that virtually everyone could afford one. By the 1960s automatic toasters had become a staple in the American kitchen and most are made today with the same basic design that Strite created decades ago. Henry H. Reichenbach was the inventor of the modern transparent rollfilm. He was a chemist, working as undergraduate assistant at the University of Rochester. In 1886 his chief recommended him to George Eastman who needed scientific help for the development of a new transparent rollfilm. After two years of work at Eastman Co. Reichenbach could present the result of his research, a material based on nitrocellulose solution and wood alcohol. The liquid celluloid was spread onto glass tables with a length of 16 metres. Thus some liquid components evaporated and the flexible celluloid foil was ready. He received a patent on it in 1889 while Eastman withdrew its own patent. Thus Reichenbach took the first chance to leave Eastman to found a new company. PMC or P.M.C. was the abbreviation for "Photo Materials Company". It was formed by former Eastman employees in 1891, by Reichenbach and another chemist, S. Carl Passavant, together with the a camera constructor Gustave D. Milburn. It made photo paper and cameras. It worked closely together with the Celluloid Company of Newark, New Jersey, managing that Eastman got worse celluloid than PMC. In 1894 Milburn left PMC to found Milburn. In 1896 Reichenbach left PMC to found a camera company. PMC went out of business so that Eastman could buy its assets. Together with John E. Morey and Albert Will Reichenbach founded another company which made the Alta cameras. The remarkable Alta Automatic of 1898 was one of the earliest self-erecting folding cameras. John Carbutt was born in Sheffield, England on December 2, 1832, and emigrated to the United States in 1853, settling in Chicago. His career in photography began when he photographed Canada's Grand Trunk Railway from 1853 to 1859. He is believed to be the first Chicago-based photographer to take portraits for cartes-de-visite or small visiting cards that first gained popularity in Europe during the mid-nineteenth century. Mr. Carbutt's interest in dry plates commenced during the early 1860s, and he began using magnesium light for flash photography in 1865. His experimentation with dry-plate photography intensified, and in 1868, he replaced the traditional collodion albumen dry plate mixture with gelatine. He perfected the gelatine intaglio printing method, better known as the Woodburytype process, and in 1871, Mr. Carbutt relocated to Philadelphia to open the Keystone Dry Plate Works. Eight years' later, he received a lucrative contract from Scovill Manufacturing Company to distribute their dry plates, and competed successfully with Gustav "Papa" Cramer and Hermann Norden, whose company was the sole distributor of dry plates in St. Louis. In fact, a competition between Carbutt, Cramer & Norden, and George Eastman proved beneficial for all. There were enough profits to go around, and consumers could purchase quality dry plates in several U.S. locations. The Carbutt plates for lantern slides particularly distinguished themselves for their excellent quality. John Carbutt's company became synonymous with the distribution of superior dry plate innovations, including the first gelatine-bromide dry plates (1879), the first orthochromatic dry plates (1886), and the first celluloid dry plates (1888). He explained the celluloid process in a September 1889 issue of Wilson's Photographic Magazine. According to Mr. Carbutt, celluloid is made from bleached tissue paper that is nitrogenized and then ground up with camphor before being pressed out into a slab. Following some evaporation, thin slices are shaved, placed onto frames, then stretched down and fed into a forced-air press. It will then cur for approximately six weeks, before entering the finishing process, after which the celluloid is manufactured with a fine mat surface that prevents halation or the spreading of light. After introducing the first X-ray plates for commercial use in 1896, John Carbutt spent his later years experimenting with color photography and developed color screens for process engraving. He also indulged in his lifelong love of landscape photography. In addition, Mr. Carbutt served as a consultant to several organizations, most notably the Franklin Institute and the Philadelphia Photographic Society, that frequently sought his technical expertise. In the early twentieth century, Mr. Carbutt's health began to fail, and he died in Philadelphia after a brief illness on July 26, 1905. While the name John Carbutt may be largely forgotten today, his important contributions to dry plate and color photography are not. Tycho Brahe, (born December 14, 1546, Knudstrup, Scania, Denmark—died October 24, 1601, Prague), Danish astronomer whose work in developing astronomical instruments and in measuring and fixing the positions of stars paved the way for future discoveries. His observations—the most accurate possible before the invention of the telescope—included a comprehensive study of the solar system and accurate positions of more than 777 fixed stars. Tycho’s father was a privy councillor and later governor of the castle of Helsingborg, which controls the main waterway to the Baltic Sea. His wealthy and childless uncle abducted Tycho at a very early age and, after the initial parental shock was overcome, raised him at his castle in Tostrup, Scania, also financing the youth’s education, which began with the study of law at the University of Copenhagen in 1559–62. Several important natural events turned Tycho from law to astronomy. The first was the total eclipse of the Sun predicted for August 21, 1560. Such a prediction seemed audacious and marvelous to a 14-year-old student, but when Tycho witnessed its realization he saw and believed—the spark was lit—and, as his many later references testify, he never forgot the event. His subsequent student life was divided between his daytime lectures on jurisprudence, in response to the wishes of his uncle, and his nighttime vigil of the stars. The professor of mathematics helped him with the only printed astronomical book available, the Almagest of Ptolemy, the astronomer of antiquity who described the geocentric conception of the cosmos. Other teachers helped him to construct small globes, on which star positions could be plotted, and compasses and cross-staffs, with which he could estimate the angular separation of stars. In 1562 Tycho’s uncle sent him to the University of Leipzig, where he studied until 1565. Another significant event in Tycho’s life occurred in August 1563, when he made his first recorded observation, a conjunction, or overlapping, of Jupiter and Saturn. Almost immediately he found that the existing almanacs and ephemerides, which record stellar and planetary positions, were grossly inaccurate. The Copernican tables were several days off in predicting this event. In his youthful enthusiasm Tycho decided to devote his life to the accumulation of accurate observations of the heavens, in order to correct the existing tables. Between 1565 and 1570 (or 1572?) he traveled widely throughout Europe, studying at Wittenberg, Rostock, Basel, and Augsburg and acquiring mathematical and astronomical instruments, including a huge quadrant. Inheriting the estates of his father and of his uncle Jørgen, Tycho then settled in Scania in 1571(?) and constructed a small observatory on property owned by a relative. Here occurred the third and most important astronomical event in Tycho’s life. On November 11, 1572, he suddenly saw a “new star,” brighter than Venus and where no star was supposed to be, in the constellation Cassiopeia. He carefully observed the new star and showed that it lay beyond the Moon and therefore was in the realm of the fixed stars. To the world at the time, this was a disquieting discovery, because the intellectual community protected itself against the uncertainties of the future by confidence in the Aristotelian doctrine of inner and continuous harmony of the whole world. This harmony was ruled by the stars, which were regarded as perfect and unchanging. The news that a star could change as dramatically as that described by Tycho, together with the reports of the Copernican theory that the Sun, not Earth, was the centre of the universe, shook confidence in the immutable laws of antiquity and suggested that the chaos and imperfections of Earth were reflected in the heavens. Tycho’s discovery of the new star in Cassiopeia in 1572 and his publication of his observations of it in De nova stella in 1573 marked his transformation from a Danish dilettante to an astronomer with a European reputation. By marrying a peasant’s daughter, named Kirstine, in 1573, Tycho—as a nobleman’s son—scandalized most of his contemporaries. He seldom mentioned her in his extensive correspondence (which still exists), and it is probable that he was interested mainly in a companion who would superintend his household without being involved in court functions and intrigues. Tycho and Kirstine had eight children, six of whom survived him. The new star in the constellation Cassiopeia had caused Tycho to rededicate himself to astronomy; one immediate decision was to establish a large observatory for regular observations of celestial events. His plan to establish this observatory in Germany prompted King Frederick II to keep him in Denmark by granting him title in 1576 to the island of Ven (formerly Hven), in the middle of The Sound and about halfway between Copenhagen and Helsingør, together with financial support for the observatory and laboratory buildings. Tycho called the observatory Uraniborg, after Urania, the Muse of astronomy. Surrounded by scholars and visited by learned travelers from all over Europe, Tycho and his assistants collected observations and substantially corrected nearly every known astronomical record. Tycho was an artist as well as a scientist and craftsman, and everything he undertook or surrounded himself with had to be innovative and beautiful. He established a printing shop to produce and bind his manuscripts in his own way, he imported Augsburg craftsmen to construct the finest astronomical instruments, he induced Italian and Dutch artists and architects to design and decorate his observatory, and he invented a pressure system to provide the then uncommon convenience of sanitary lavatory facilities. Uraniborg fulfilled the hopes of Tycho’s king and friend, Frederick II, that it would become the centre of astronomical study and discovery in northern Europe. But Frederick died in 1588, and under his son, Christian IV, Tycho’s influence dwindled; most of his income was stopped, partly because of the increasing needs of the state for money. Spoiled by Frederick, however, Tycho had become both unreasonably demanding of more money and less inclined to carry out the civic duties required by his income from state lands. At odds with the three great powers—king, church, and nobility—Tycho left Ven in 1597, and, after short stays at Rostock and at Wandsbek, near Hamburg, he settled in Prague in 1599 under the patronage of Emperor Rudolf II, who also in later years supported the astronomer Johannes Kepler. The major portion of Tycho’s lifework—making and recording accurate astronomical observations—had already been done at Uraniborg. To his earlier observations, particularly his proof that the nova of 1572 was a star, he added a comprehensive study of the solar system and his proof that the orbit of the comet of 1577 lay beyond the Moon. He proposed a modified Copernican system in which the planets revolved around the Sun, which in turn moved around the stationary Earth. What Tycho accomplished, using only his simple instruments and practical talents, remains an outstanding accomplishment of the Renaissance. Tycho attempted to continue his observations at Prague with the few instruments he had salvaged from Uraniborg, but the spirit was not there, and he died in 1601, leaving all his observational data to Kepler, his pupil and assistant in the final years. There was a struggle between Kepler and Tycho’s heirs regarding ownership of the data. When it was resolved, with those data Kepler laid the groundwork for the work of Sir Isaac Newton. Paul Maurice Zoll, American cardiologist and medical researcher (born July 15, 1911, Boston, Mass.—died Jan. 5, 1999, Chestnut Hill, near Boston), conducted pioneering research that led to the development of the cardiac defibrillator, improved pacemakers, and continuous heart-rhythm monitoring devices. Following his graduation from Harvard College (B.A., 1932) and Harvard Medical School (M.D., 1936), Zoll was made a research fellow (1939) in cardiology at Beth Israel Hospital, Boston, working under physicians Monroe Schlesinger and Herman Blumgart. During World War II he was stationed in Great Britain as a U.S. Army physician. In that capacity he observed numerous open-heart surgeries performed by Dwight Harken, and he noted with interest the manner in which the heart responded reflexively to the slightest touch. After the war he became involved in attempts to regulate the heartbeat and treat myocardial infarctions (heart attacks). At the time, emergency cardiac resuscitation involved cutting patients’ chests open and squeezing the heart by hand. Zoll experimented with closed-chest electrical cardiac stimulation, and in 1952 he restarted the hearts of two patients at Beth Israel Hospital. Researchers worldwide were soon racing to enhance defibrillator designs, which later became standard issue in emergency rooms, ambulances, and airplanes. Acceptance from within the medical community was not universal or immediate, however; many questioned whether such “artificial” methods were ethical if not altogether blasphemous. Zoll’s efforts were later concentrated on improving cardiac pacemakers, which were massive, inefficient external machines that often caused great pain to their users. His new designs were the forerunners of the miniaturized permanent pacemakers currently implanted in hundreds of thousands of patients each year. Zoll also worked to improve electrocardiographic monitoring devices. In the 1980s he founded ZOLL Medical Corp., which developed and marketed new defibrillator designs. 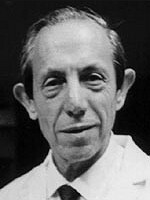 Despite his numerous contributions to medical technology, Zoll received only limited recognition until 1973, when he was awarded the Albert Lasker Clinical Medical Research Award. Max Delbrück, (born Sept. 4, 1906, Berlin, Ger.—died March 9, 1981, Pasadena, Calif., U.S.), German-born U.S. biologist, a pioneer in the study of molecular genetics. With Alfred Day Hershey and Salvador Luria, he was awarded the 1969 Nobel Prize for Physiology or Medicine for work on bacteriophages—viruses that infect bacteria. Delbrück received a Ph.D. in physics (1930) from the University of Göttingen. His interest in bacteriophages was aroused while he was a research assistant at the Kaiser Wilhelm Institute for Chemistry in Berlin (1932–37). A refugee from Nazi Germany, Delbrück went to the United States in 1937, serving as a faculty member of the California Institute of Technology (1937–39; 1947–81) and of Vanderbilt University (1940–47). He became a U.S. citizen in 1945. In 1939 Delbrück discovered a one-step process for growing bacteriophages that, after a one-hour latent period, would multiply to produce several hundred thousands of progeny. Delbrück soon began to collaborate with Luria, and in 1943 they announced their discovery that a bacterium that has been infected by a bacteriophage can undergo spontaneous mutations so that it becomes immune to the phage. In 1946 Delbrück and Hershey independently discovered that the genetic material of different kinds of viruses can combine to create new types of viruses. This process was previously believed to be limited to higher, reproducing forms of life. Sir Joseph Norman Lockyer, (born May 17, 1836, Rugby, Warwickshire, Eng.—died Aug. 16, 1920, Salcombe Regis, Devon), British astronomer who in 1868 discovered in the Sun’s atmosphere a previously unknown element that he named helium after Hēlios, the Greek name for the Sun and the Sun god. Lockyer became a clerk in the War Office in 1857, but his interest in astronomy eventually led to a career in that field. He initiated in 1866 the spectroscopic observation of sunspots, and in 1868 he found that solar prominences are upheavals in a layer that he named the chromosphere. Also in 1868, he and French astronomer Pierre Janssen, working independently, discovered a spectroscopic method of observing solar prominences without the aid of an eclipse to block out the glare of the Sun. Lockyer identified the element helium in the solar spectrum 27 years before that element was found on Earth. 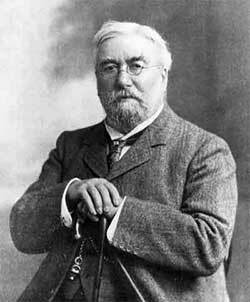 Between 1870 and 1905, Lockyer conducted eight expeditions to observe solar eclipses. He also built a private observatory at Sidmouth and theorized on stellar evolution. A prolific writer, he founded the science periodical Nature in 1869 and edited it until a few months before his death. He was knighted in 1897. Sir William Henry Perkin, (born March 12, 1838, London, England—died July 14, 1907, Sudbury, near Harrow, UK) British chemist who discovered aniline dyes. In 1853 Perkin entered the Royal College of Chemistry, London, where he studied under August Wilhelm von Hofmann. 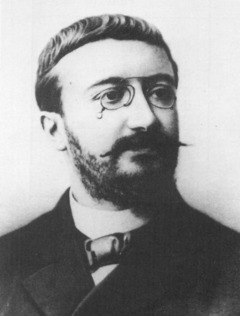 While Perkin was working as Hofmann’s laboratory assistant, he undertook the synthesis of quinine. He obtained instead a bluish substance with excellent dyeing properties that later became known as aniline purple, Tyrian purple, or mauve. In 1856 he obtained a patent for manufacturing the dye, and the next year, with the aid of his father and his brother Thomas, he set up an aniline manufacturing plant near Harrow. 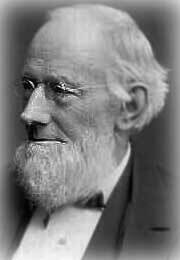 In 1858 he and B.F. Duppa synthesized glycine in the first laboratory preparation of an amino acid. They synthesized tartaric acid in 1860. After Graebe and Liebermann announced their synthesis of the red dye alizarin, Perkin developed a cheaper procedure, obtained a patent for his process, and held a monopoly on its manufacture for several years. In 1867 he discovered a chemical process for preparing unsaturated acids. The following year he used this process, which became known as the Perkin reaction, to synthesize coumarin, the first artificial perfume. He also investigated other dyes, salicyl alcohol, and flavourings. About 1874 he abandoned manufacturing and devoted himself to research, not only studying chemical processes but also investigating the optical rotation of various substances. He was knighted in 1906, the 50th anniversary of his discovery of mauve. Sir Charles Lyell, Baronet, (born Nov. 14, 1797, Kinnordy, Forfarshire, Scot.—died Feb. 22, 1875, London), Scottish geologist largely responsible for the general acceptance of the view that all features of the Earth’s surface are produced by physical, chemical, and biological processes through long periods of geological time. The concept was called uniformitarianism (initially set forth by James Hutton). Lyell’s achievements laid the foundations for evolutionary biology as well as for an understanding of the Earth’s development. He was knighted in 1848 and made a baronet in 1864. Lyell was born at Kinnordy, the stately family home at the foot of the Grampian Mountains in eastern Scotland. His principal childhood associations, however, were with the New Forest near Southampton, Eng., where his parents moved before he was two years old. His father, a naturalist who later turned to more literary pursuits, kept the study well stocked with books on every subject, including geology. The eldest of 10 children, Charles attended a series of private schools, where he was not a particularly diligent student; he much preferred rambles in the New Forest and his father’s instruction at home to those places, with their schoolboy pranks and pecking orders whose spirit he never really shared. His first scientific hobby was collecting butterflies and aquatic insects, an activity pursued intensively for some years, even though labelled unmanly by local residents. His observations went far beyond those of any ordinary boy, and later this instinct for collecting and comparing led to important discoveries. At 19 Lyell entered Oxford University, where his interest in classics, mathematics, and geology was stimulated, the latter by the enthusiastic lectures of William Buckland, later widely known for his attempt to prove Noah’s Flood by studies of fossils from cave deposits. 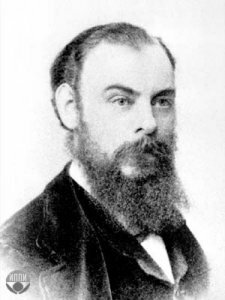 Lyell spent the long vacations between terms travelling and conducting geological studies. Notes made in 1817 on the origin of the Yarmouth lowlands clearly foreshadow his later work. The penetrating geological and cultural observations Lyell made while on a continental tour with his family in 1818 were as remarkable as the number of miles he walked in a day. In December 1819 he earned a B.A. with honours and moved to London to study law. Lyell’s eyes were weakened by hard law study, and he sought and found relief by spending much time on geological work outdoors. Among these holidays was a visit to Sussex in 1822 to see evidence of vertical movements of the Earth’s crust. In 1823, on a visit to Paris, he met the renowned naturalists Alexander von Humboldt and Georges Cuvier and examined the Paris Basin with the French geologist Louis-Constant Prévost. In 1824 Lyell studied sediments forming in freshwater lakes near Kinnordy. When in London, Lyell participated in its vigorous intellectual life, meeting such literati as Sir Walter Scott and taking active part in several scientific societies. Prodded to finish his law studies, Lyell was admitted to the bar in 1825, but with his father’s financial support he practiced geology more than law, publishing his first scientific papers that year. Lyell was rapidly developing new principles of reasoning in geology and began to plan a book which would stress that there are natural (as opposed to supernatural) explanations for all geologic phenomena, that the ordinary natural processes of today and their products do not differ in kind or magnitude from those of the past, and that the Earth must therefore be very ancient because these everyday processes work so slowly. With the ambitious young geologist Roderick Murchison, he explored districts in France and Italy where proof of his principles could be sought. From northern Italy Lyell went south alone to Sicily. Poor roads and accommodations made travel difficult, but in the region around Mt. Etna he found striking confirmation of his belief in the adequacy of natural causes to explain the features of the Earth and in the great antiquity even of such a recent feature as Etna itself. During the summer of 1830 Lyell travelled through the geologically complex Pyrenees to Spain, where the closed, repressed society both fascinated and repelled him. Returning to France, he was astonished to find King Charles X dethroned, the tricolour everywhere, and geologists able to talk only of politics. Back in London he set to work again on the Principles of Geology, finishing Volume II in December 1831 and the third and final volume in April 1833. His steady work was relieved by occasional social or scientific gatherings and a trip to a volcanic district in Germany close to the home of his sweetheart, Mary Horner, in Bonn, whom he married in July 1832, taking a long honeymoon and geological excursion in Switzerland and Italy. Mary, whose father had geological leanings, shared Charles’s interests. For 40 years she was his closest companion; the happiness of their marriage increased because of her ability to participate in his work. During the next eight years the Lyells led a quiet life. Winters were devoted to study, scientific and social activities, and revision of 'Principles of Geology', which sold so well that new editions were frequently required. Data for the new editions were gathered during summer travels, including two visits to Scandinavia in 1834 and 1837. In 1832 and 1833 Lyell delivered well-received lectures at King’s College, London, afterward resigning the professorship as too time-consuming. Publication of the Principles of Geology placed him among the recognized leaders of his field, compelling him to devote more time to scientific affairs. During these years he gained the friendship of men like Darwin and the astronomer Sir John Herschel. In 1838 Lyell’s Elements of Geology was published; it described European rocks and fossils from the most recent, Lyell’s specialty, to the oldest then known. Like the 'Principles of Geology', this well-illustrated work was periodically enlarged and updated. In 1841 Lyell accepted an invitation to lecture and travel for a year in North America, returning again for nine months in 1845–46 and for two short visits in the 1850s. During their travels, the Lyells visited nearly every part of the United States east of the Mississippi River and much of eastern Canada, seeing almost all of the important geological “monuments” along the way, including Niagara Falls. Lyell was amazed at the comparative ease of travel, although they saw many places newly claimed from the wilderness. A veteran of coach and sail days, Lyell often praised the speed and comfort of the new railroads and steamships. Lyell’s lectures at the Lowell Institute in Boston attracted thousands of people of both genders and every social station. Lyell wrote enthusiastic and informative books, in 1845 and 1849, about each of his two long visits to the New World. Unlike the majority of well-off Victorians, Lyell was a vocal supporter of the Union cause in the American Civil War. Familiar with both North and South, he admired the bravery and military skill of the South but believed in the necessity and inevitability of a Northern victory. After 1865 Lyell’s activities became more restricted as his strength waned, although he never entirely gave up outdoor geology. His wife, 12 years his junior, died unexpectedly in 1873 after a short illness, leaving Lyell to write, “I endeavour by daily work at my favourite science, to forget as far as possible the dreadful change which this has made in my existence.” He died in 1875, while revising his Principles of Geology for its 12th edition, and was buried in Westminster Abbey. The great merit of the Principles was that it altered the whole tone of one’s mind, and therefore that, when seeing a thing never seen by Lyell, one yet saw it partially through his eyes. 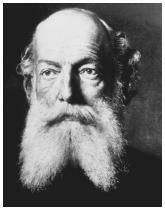 August Kekule von Stradonitz, original name Friedrich August Kekulé, (born Sept. 7, 1829, Darmstadt, Hesse—died July 13, 1896, Bonn, Ger. ), German chemist who established the foundation for the structural theory in organic chemistry. Kekule was born into an upper-middle-class family of civil servants and as a schoolboy demonstrated an aptitude for art and languages, as well as science subjects. Intending to be an architect, he entered the nearby University of Giessen, but soon he was “seduced” (as he later expressed it) to the study of chemistry by the attractive teaching of Justus Liebig. Early in 1856 Kekule moved to the University of Heidelberg, where he qualified as a lecturer and began to produce important research in organic chemistry. He had a prodigious memory for chemical details, a complete mastery of English and French in addition to his native German, and—most important—one of the most fruitful scientific imaginations of any scientist of his day. He was also energetic, intense, and a superb teacher. In 1858 he was called to the University of Ghent in Belgium, where he taught chemistry in French. Nine years later he was hired as a full professor and chairman of the chemistry department at the University of Bonn, where he took charge of a large new laboratory and where he remained for the rest of his career. In 1890 the 25th anniversary of Kekule’s first benzene paper was marked by an elaborate celebration in his honour. This was the occasion when he publicly related the stories that have since become well known, about how the ideas for structure theory and benzene theory came to him while daydreaming or dozing. The first of these events happened, he said, on the upper deck of a horse-drawn London omnibus (if true, it was probably in the summer of 1855). The second occurred in his residence in Ghent (perhaps in early 1862) and involved a dream figure of a snake that seized its own tail in its mouth, giving him the idea for the benzene ring. However, the precise dating of these dreams, and even their very existence, has been contested. In contrast to his career success, Kekule’s private life was unsettled. His first wife died giving birth to their first child, a son; a later marriage proved unhappy. The year before his death, he was raised to the hereditary Prussian nobility and adopted the aristocratic surname Kekule von Stradonitz. 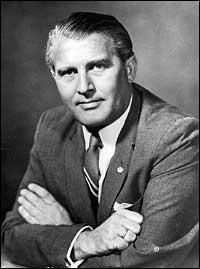 Wernher von Braun, (born March 23, 1912, Wirsitz, Germany [now Wyrzysk, Poland]—died June 16, 1977, Alexandria, Virginia, U.S.), German engineer who played a prominent role in all aspects of rocketry and space exploration, first in Germany and after World War II in the United States. Braun was born into a prosperous aristocratic family. His mother encouraged young Wernher’s curiosity by giving him a telescope upon his confirmation in the Lutheran church. Braun’s early interest in astronomy and the realm of space never left him thereafter. In 1920 his family moved to the seat of government, Berlin. He did not do well in school, particularly in physics and mathematics. A turning point in his life occurred in 1925 when he acquired a copy of Die Rakete zu den Planetenräumen (“The Rocket into Interplanetary Space”) by a rocket pioneer, Hermann Oberth. Frustrated by his inability to understand the mathematics, he applied himself at school until he led his class. In the spring of 1930, while enrolled in the Berlin Institute of Technology, Braun joined the German Society for Space Travel. In his spare time he assisted Oberth in liquid-fueled rocket motor tests. In 1932 he graduated from the Technical Institute with a B.S. degree in mechanical engineering and entered the University of Berlin. By the fall of 1932 the rocket society was experiencing grave financial difficulties. At that time Capt. Walter R. Dornberger (later major general) was in charge of solid-fuel rocket research and development in the Ordnance Department of Germany’s 100,000-man armed forces, the Reichswehr. He recognized the military potential of liquid-fueled rockets and the ability of Braun. Dornberger arranged a research grant from the Ordnance Department for Braun, who then did research at a small development station that was set up adjacent to Dornberger’s existing solid-fuel rocket test facility at the Kummersdorf Army Proving Grounds near Berlin. Two years later Braun received a Ph.D. in physics from the University of Berlin. His thesis, which, for reasons of military security, bore the nondescript title “About Combustion Tests,” contained theoretical investigation and developmental experiments on 300- and 660-pound-thrust rocket engines. By December 1934 (when Germany was ruled by dictator Adolf Hitler), Braun’s group, which then included one additional engineer and three mechanics, had successfully launched two rockets that rose vertically to more than 1.5 miles (2.4 km). But by this time there was no longer a German rocket society; rocket tests had been forbidden by decree, and the only way open to such research was through the military forces. Since the test grounds near Berlin had become too small, a large military development facility was erected at the village of Peenemünde in northeastern Germany on the Baltic Sea, with Dornberger as the military commander and Braun as the technical director. Liquid-fueled rocket aircraft and jet-assisted takeoffs were successfully demonstrated, and the long-range ballistic missile A-4 and the supersonic antiaircraft missile Wasserfall were developed. The A-4 was designated by the Propaganda Ministry as V-2, meaning “Vengeance Weapon 2.” By 1944 the level of technology of the rockets and missiles being tested at Peenemünde was many years ahead of that available in any other country. After moving to Huntsville, Alabama, in 1952, Braun became technical director (later chief) of the U.S. Army ballistic-weapon program. Under his leadership, the Redstone, Jupiter-C, Juno, and Pershing missiles were developed. In 1955 he became a U.S. citizen and, characteristically, accepted citizenship wholeheartedly. During the 1950s Braun became a national and international focal point for the promotion of space flight. He was the author or coauthor of popular articles and books and made addresses on the subject. In 1954 a secret army–navy project to launch an Earth satellite, Project Orbiter, was thwarted. The situation was changed by the launching of Sputnik 1 by the Soviet Union on October 4, 1957, followed by Sputnik 2 on November 3. Given leave to proceed on November 8, Braun and his army group launched the first U.S. satellite, Explorer 1, on January 31, 1958. After the National Aeronautics and Space Administration (NASA) was formed to carry out the U.S. space program, Braun and his organization were transferred from the army to that agency. As director of NASA’s Marshall Space Flight Center in Huntsville, Braun led the development of the large space launch vehicles, Saturn I, IB, and V. The engineering success of each rocket in the Saturn class of space boosters, which contained millions of individual parts, remains unparalleled in rocket history. Each was launched successfully and on time and met safe-performance requirements. In March 1970 Braun was transferred to NASA headquarters in Washington, D.C., as deputy associate administrator for planning. He resigned from the agency in 1972 to become vice president at Fairchild Industries, Inc., an aerospace company. In 1975 he founded the National Space Institute, a private organization whose objective was to gain public support and understanding of space activities. In attempting to justify his involvement in the development of the German V-2 rocket, Braun stated that patriotic motives had outweighed whatever qualms he had had about the moral implications of his nation’s policies under Hitler. He also emphasized the innate impartiality of scientific research, which in itself, he said, has no moral dimensions until its products are put to use by the larger society. During his later career Braun received numerous high awards from U.S. government agencies and from professional societies in the United States and other countries. After clerking in a textile mill, Pitman entered a training college for teachers (1831) and taught in elementary schools for 11 years before opening his own private school in Bath. Earlier he had taken up Samuel Taylor’s system of shorthand and become interested in developing shorthand based on sound. In 1837, at the suggestion of publisher Samuel Bagster, Pitman wrote 'Stenographic Sound Hand', which Bagster published at a low price for widest possible distribution. To encourage the adoption of his system, Pitman established a Phonetic Institute and a 'Phonetic Journal' at Bath. He also printed standard works in shorthand, and his book 'Phonography' (1840) went through many editions. He was an enthusiastic spelling reformer and adopted a phonetic system that he tried to bring into general use. In 1894 he was knighted. Max Born, (born Dec. 11, 1882, Breslau, Ger. [now Wrocław, Pol. ]—died Jan. 5, 1970, Göttingen, W.Ger. ), German physicist who shared the Nobel Prize for Physics in 1954 with Walther Bothe for his probabilistic interpretation of quantum mechanics. Born came from an upper-middle-class, assimilated, Jewish family. At first he was considered too frail to attend public school, so he was tutored at home before being allowed to attend the König Wilhelm Gymnasium in Breslau. Thereafter he continued his studies in physics and mathematics at universities in Breslau, Heidelberg, Zürich, and Göttingen. At the University of Göttingen he wrote his dissertation (1906), on the stability of elastic wires and tapes, under the direction of the mathematician Felix Klein, for which he was awarded a doctorate in 1907. After brief service in the army and a stay at the University of Cambridge, where he worked with physicists Joseph Larmor and J.J. Thomson, Born returned to Breslau for the academic year 1908–09 and began an extensive study of Albert Einstein’s theory of special relativity. On the strength of his papers in this field, Born was invited back to Göttingen as an assistant to the mathematical physicist Hermann Minkowski. In 1912 Born met Hedwig Ehrenberg, whom he married a year later. Three children, two girls and a boy, were born from the union. It was a troubled relationship, and Born and his wife often lived apart. In 1915 Born accepted a professorship to assist physicist Max Planck at the University of Berlin, but World War I intervened and he was drafted into the German army. Nonetheless, while an officer in the army, he found time to publish his first book, Dynamik der Kristallgitter (1915; Dynamics of Crystal Lattices). In 1919 Born was appointed to a full professorship at the University of Frankfurt am Main, and in 1921 he accepted the position of professor of theoretical physics at the University of Göttingen. James Franck had been appointed professor of experimental physics at Göttingen the previous year. The two of them made the University of Göttingen one of the most important centres for the study of atomic and molecular phenomena. A measure of Born’s influence can be gauged by the students and assistants who came to work with him—among them, Wolfgang Pauli, Werner Heisenberg, Pascual Jordan, Enrico Fermi, Fritz London, P.A.M. Dirac, Victor Weisskopf, J. Robert Oppenheimer, Walter Heitler, and Maria Goeppert-Mayer. The Göttingen years were Born’s most creative and seminal. In 1912 Born and Hungarian engineer Theodore von Karman formulated the dynamics of a crystal lattice, which incorporated the symmetry properties of the lattice, allowed the imposition of quantum rules, and permitted thermal properties of the crystal to be calculated. This work was elaborated when Born was in Göttingen, and it formed the basis of the modern theory of lattice dynamics. In 1925 Heisenberg gave Born a copy of the manuscript of his first paper on quantum mechanics, and Born immediately recognized that the mathematical entities with which Heisenberg had represented the observable physical quantities of a particle—such as its position, momentum, and energy—were matrices. Joined by Heisenberg and Jordan, Born formulated all the essential aspects of quantum mechanics in its matrix version. A short time later, Erwin Schrödinger formulated a version of quantum mechanics based on his wave equation. It was soon proved that the two formulations were mathematically equivalent. What remained unclear was the meaning of the wave function that appeared in Schrödinger’s equation. In 1926 Born submitted two papers in which he formulated the quantum mechanical description of collision processes and found that in the case of the scattering of a particle by a potential, the wave function at a particular spatiotemporal location should be interpreted as the probability amplitude of finding the particle at that specific space-time point. In 1954 he was awarded the Nobel Prize for this work. Born remained at Göttingen until April 1933, when all Jews were dismissed from their academic posts in Germany. Born and his family went to England, where he accepted a temporary lectureship at Cambridge. In 1936 he was appointed Tait Professor of Natural Philosophy at the University of Edinburgh. He became a British citizen in 1939 and remained at Edinburgh until his retirement in 1953. The next year, he and his wife moved to Bad Pyrmont, a small spa town near Göttingen.